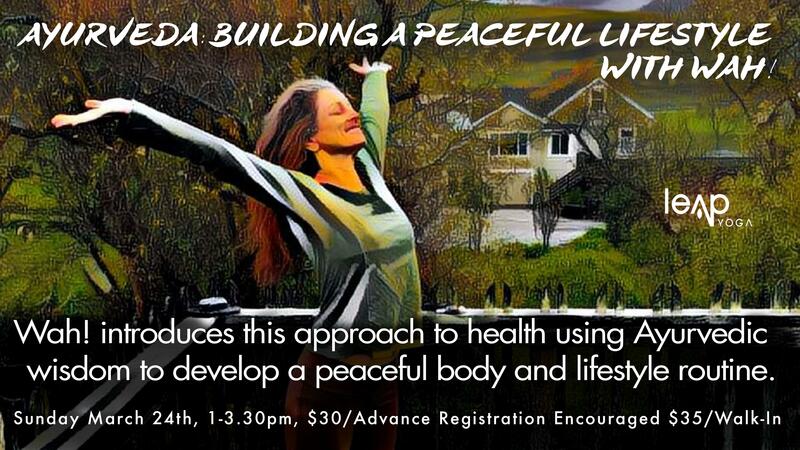 Ayurveda: building a peaceful lifestyle with Wah! Wah! introduces this approach to health using Ayurvedic wisdom to develop a peaceful body and lifestyle routine. Engaging self-inquiry to determine the tendencies of your mind/body, you can take steps to correct imbalances (vikruti) as they develop. Suffering is the first step, it gets your attention. Then it’s your job to do something about it. Don’t let problems stay problems; take initiative to fix your problems so you can be happy and enjoy. Ayurveda means “the science of living” – take the wisdom and apply it to your life!